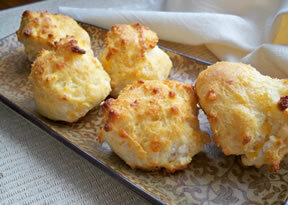 Quick-and-easy to make, these biscuits add just the right touch to any meal. They are a perfect match for your favorite chili or soup. Preheat the oven to 400 degrees. Line a baking sheet with parchment paper or grease lightly. Combine the Bisquick and cheese in a small bowl. Add 2/3 cup water and stir just until combined. The dough will be slightly moist. If too dry, add a touch more water. Drop the dough by tablespoonfuls onto the prepared baking sheet. Bake for about 10 minutes, until firm and beginning to brown. While the biscuits are baking, make the garlic butter. In a small bowl, combine the butter, garlic powder, salt and parsley flakes. Mix well. 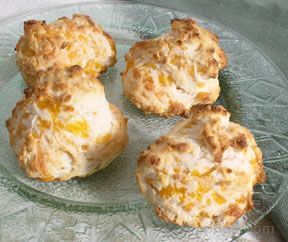 As soon as you bring the biscuits from the oven, brush them with garlic butter, using a pastry brush. 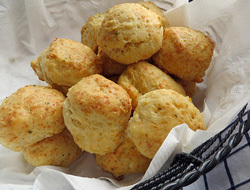 Use leftover garlic butter to serve with the biscuits if desired. 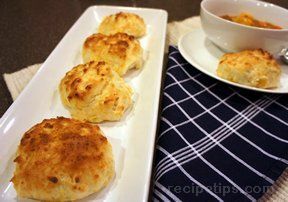 "I made these biscuits last night to go with our chili. They were perfect for dunking into the chili. I think they would go great with a lot of different meals. We will definitely be having these again."